La Biennale di Venezia International Architecture Exhibition is one of the world’s most important architecture events, visited by over 100.000 people during the months it is open for public. 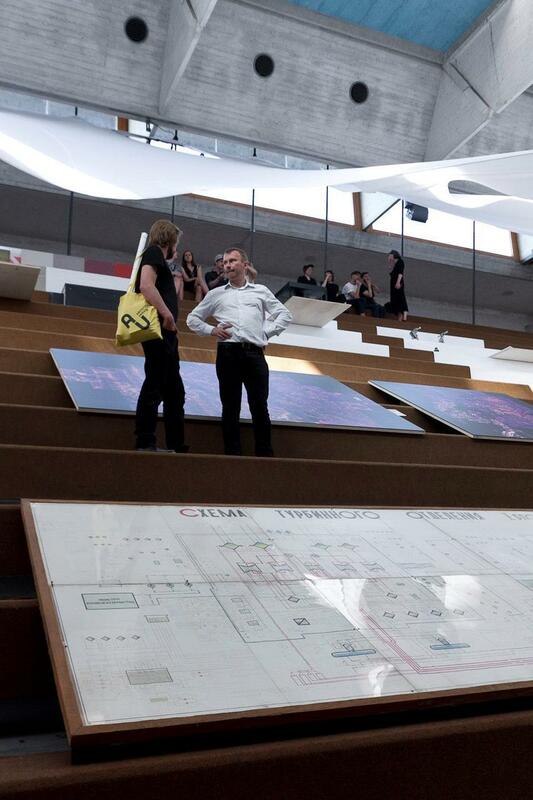 Taking part in the Biennale provides Estonia and our architects with an unique opportunity to introduce our architectural thinking and current topics relevant in Estonia on an international level. 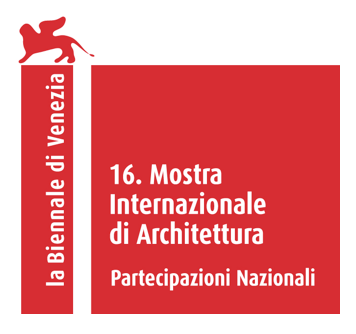 La Biennale addresses the academic and theoretical side of architecture, while also providing a meeting place for the industry's most renowned architects and designers, a place where people come to present the most exciting developments in each country's architectural thinking. 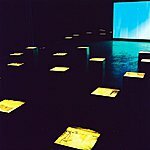 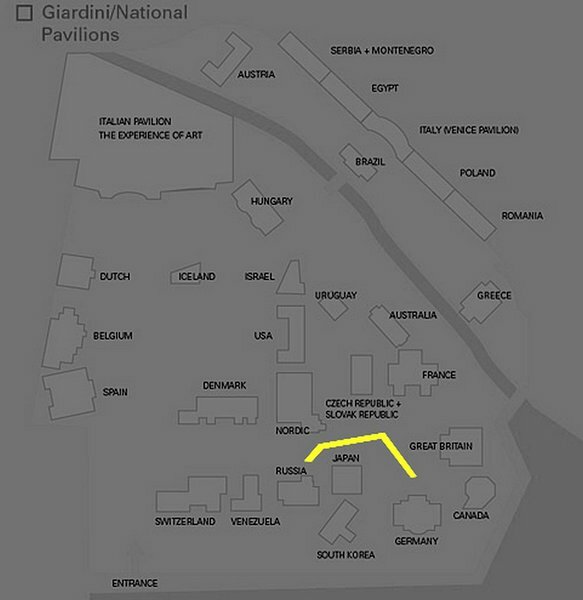 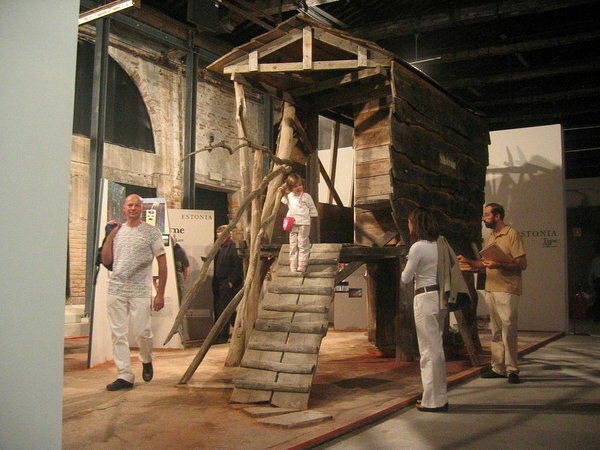 Mostra di Architettura di Venezia, the Architecture section of the Venice Biennale, was established in 1980. 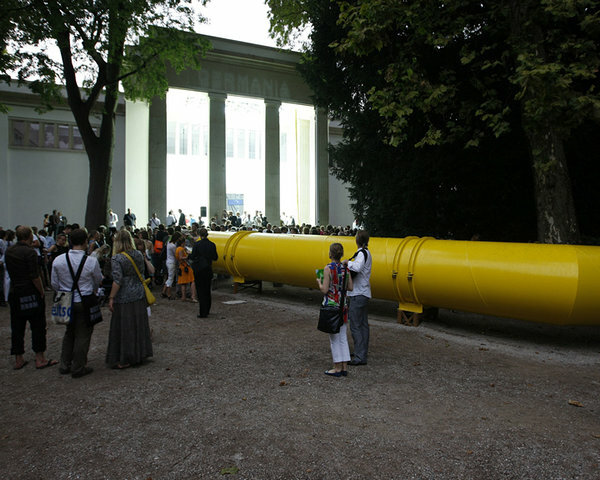 Earlier, architecture exhibitions used to take place under the umbrella of the contemporary art biennale. 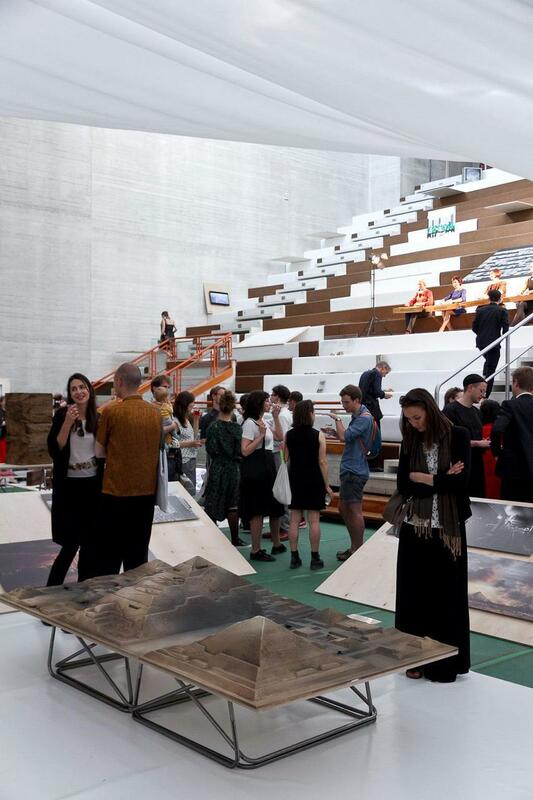 Estonian architects have participated in the Biennale since 2000, the exhibitions have been produced by both the Union of Estonian Architects and Estonian Centre of Architecture, with support from Estonian Ministry of Culture as well as Estonian Cultural Endowment. 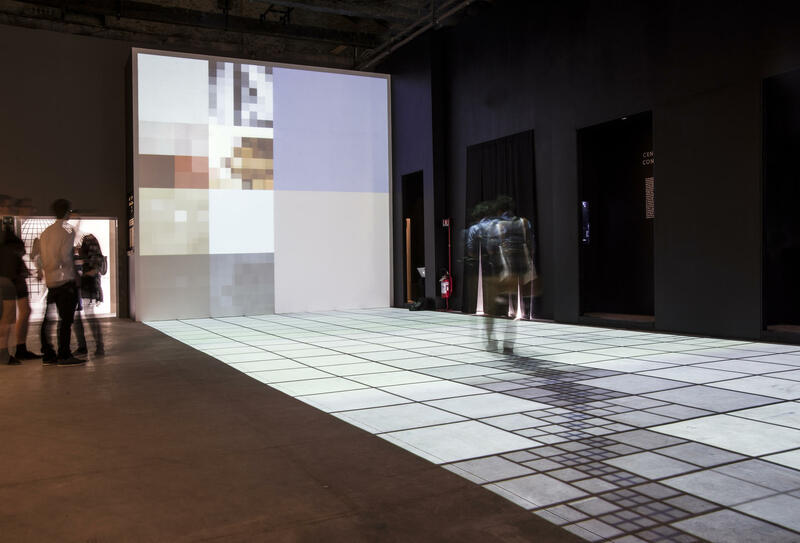 La Biennale di Venezia architecture programme consists of a number of showcases, exhibitions and events, with the main exhibition curated by the head curator of the biennale at the helm. 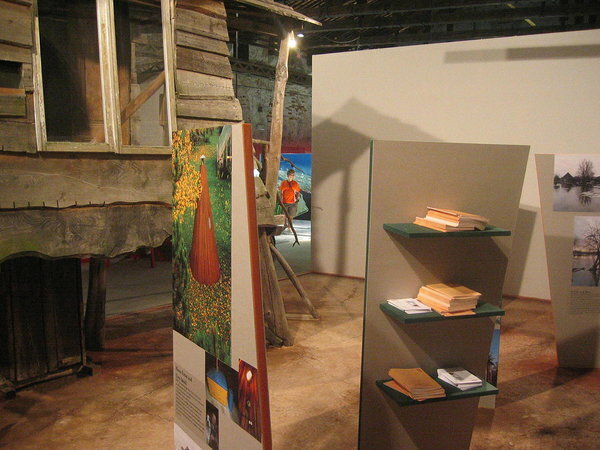 Themed exhibitions as well as national pavilions add diversity to the programme. 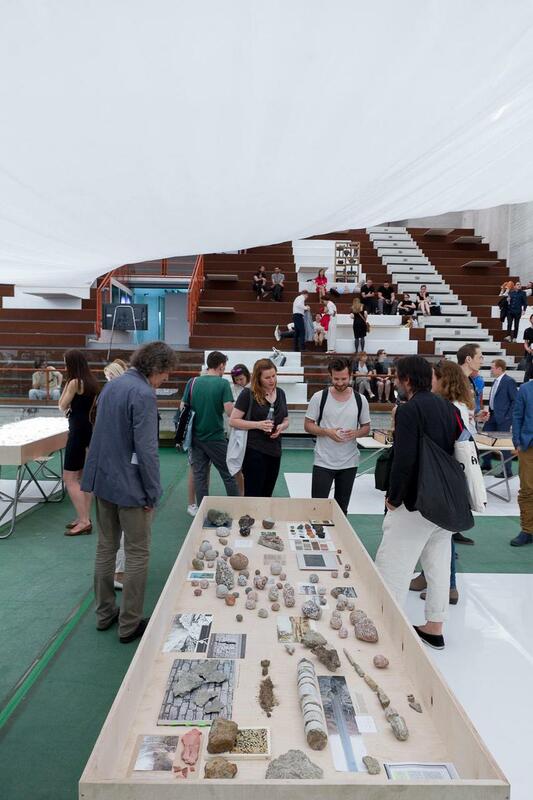 The Estonian Centre of Architecture presents the exhibition Weak Monument in the Pavilion of Estonia at the 16th International Architecture Exhibition – La Biennale di Venezia (May 26th - November 25th, 2018), entitled Freespace, and curated by Yvonne Farrell and Shelley McNamara. 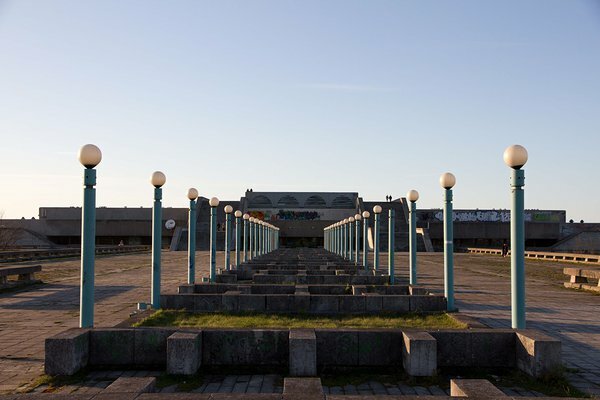 Estonian Pavilion curators, Laura Linsi, Roland Reemaa and Tadeáš Říha, explore the spectrum between the explicit representation of the monument and the implicit politics of everyday architectures: from the triumphal column to the pavement beneath it, through all that is inbetween. 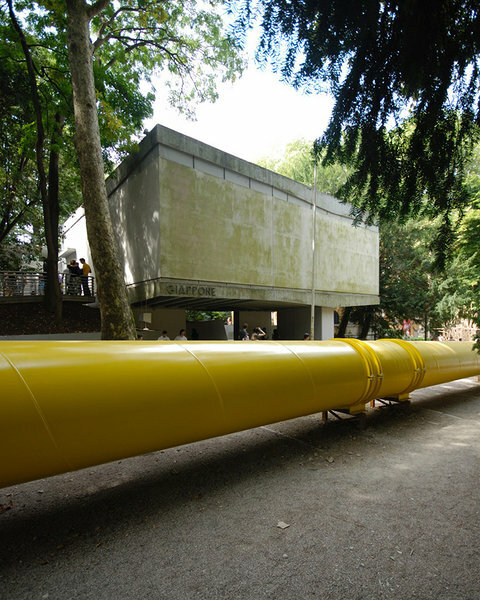 The title itself – Weak Monument – is an oxymoron, a rhetorical device that offers fresh perspectives on how to recognize politics in any built form. 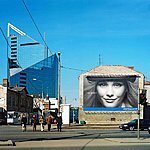 “Where does the monument stop and the pavement begin? 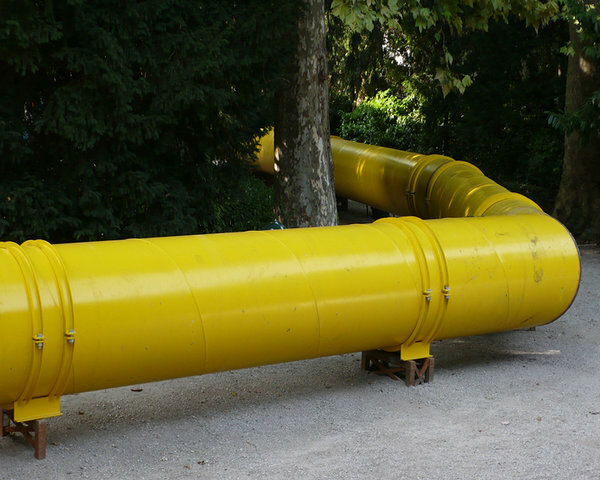 Sometimes maintenance or neglect may overstep the boundary. Sometimes the difference is diminished by a protest, sometimes by a demolition. 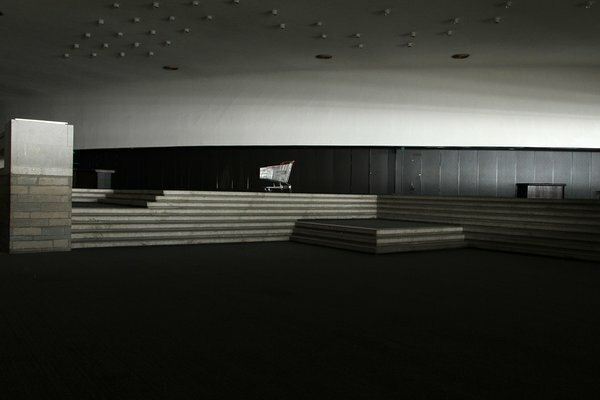 Sometimes it is the history, the location or the material that blurs the exceptional and the everyday. 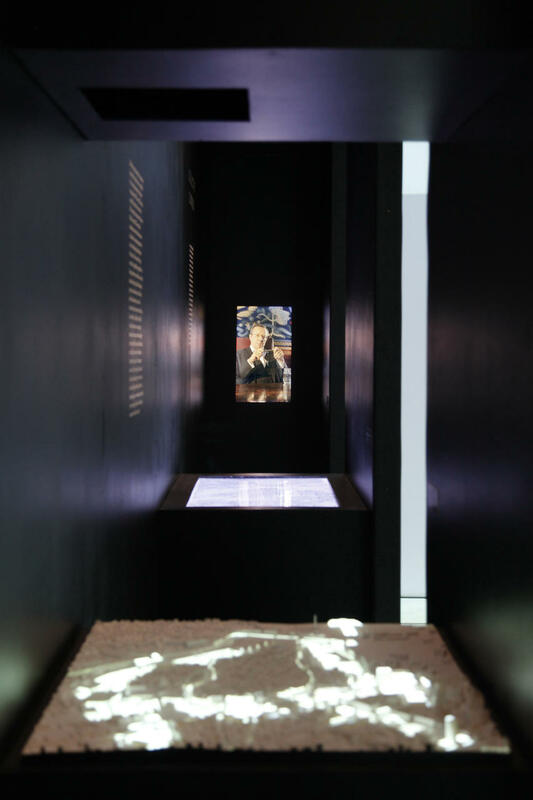 In those moments that we present, something new occurs, not precisely aligned to how the monument is traditionally understood”, says curator Tadeáš Říha. 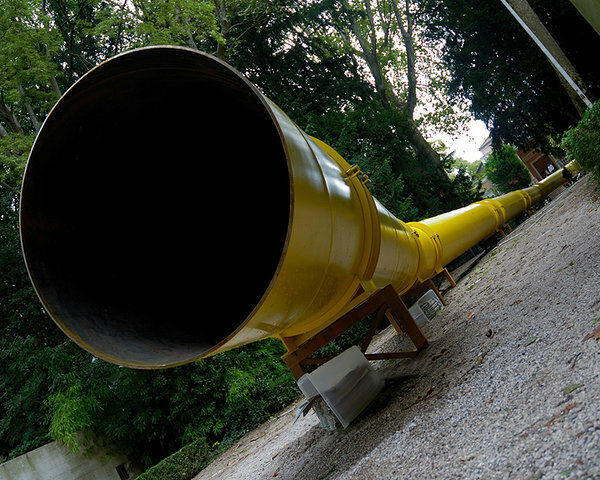 Located at the edge of Via Garibaldi, between the Biennale venues of Giardini and Arsenale, the Pavilion of Estonia – Weak Monument will transform the rooms of the former baroque church of Santa Maria Ausiliatrice (Fondamenta San Gioacchino) that offer remnants of a monumental yet decadent spatial symmetry and hierarchy. 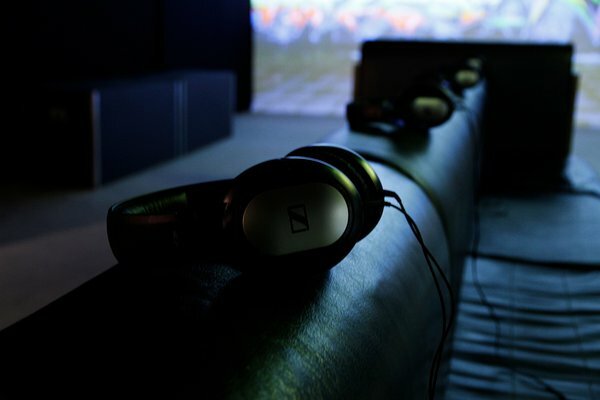 Read further.. 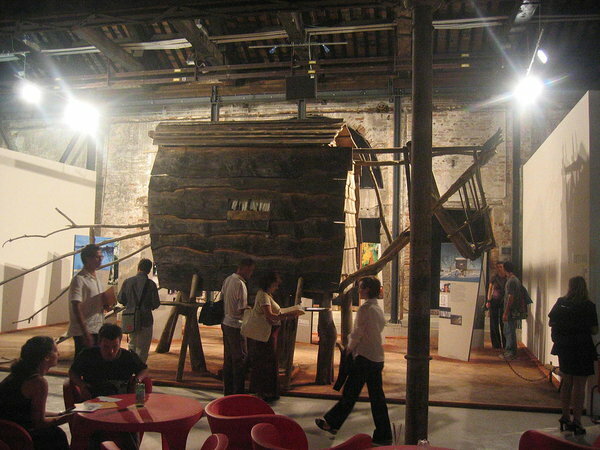 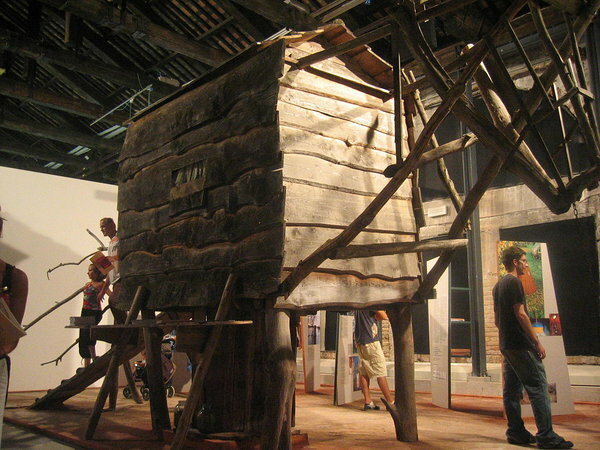 The 15th International Architecture Exhibition La Biennale di Venezia was curated by architect Alejandro Aravena under the title Reporting from the Front. 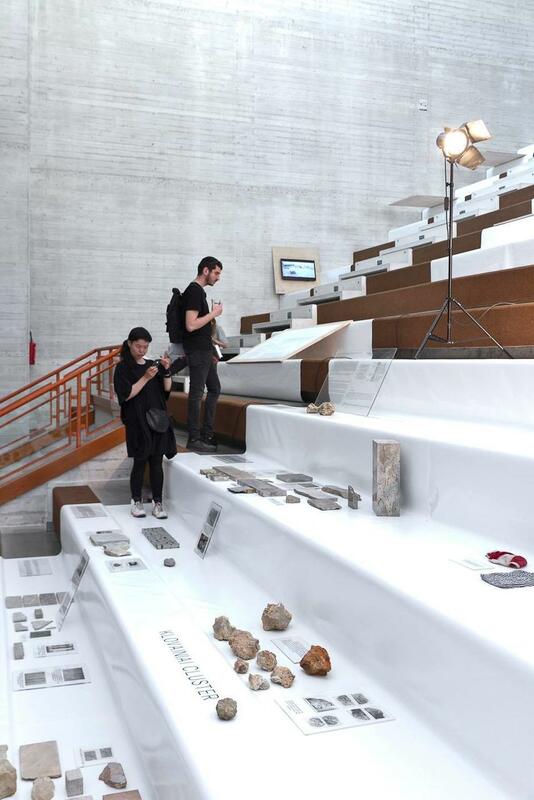 Aravena invited participants of the curated exhibition as well as countries with their national pavilions to explore the current front lines in architecture: where are battles held and what have been bravest positive changes - big and small - that architecture has made. 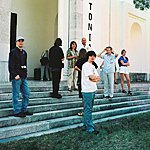 Estonia held an international 2-stage competition to find the project for the 15th biennale: 22 proposals were submitted for the 1st stage, with 3 proposals moving on to the 2nd stage. 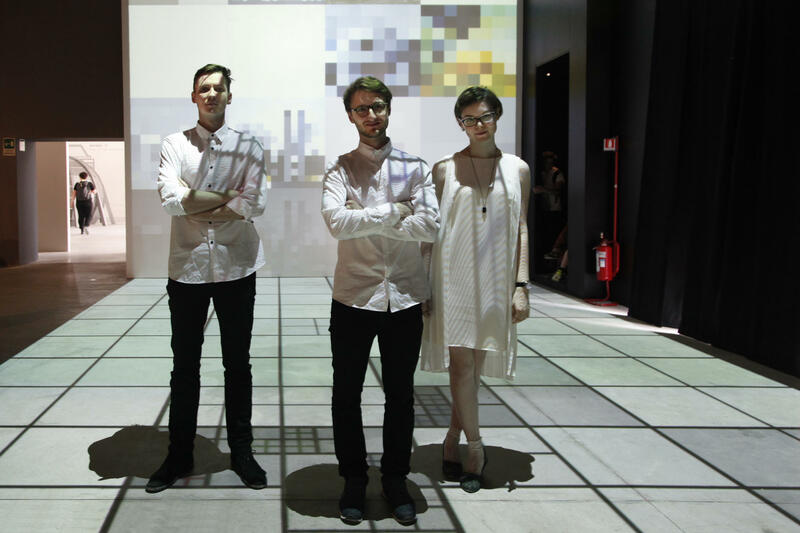 A joint project of 9 young curators and architect from all three Baltic statest won the 2nd stage. 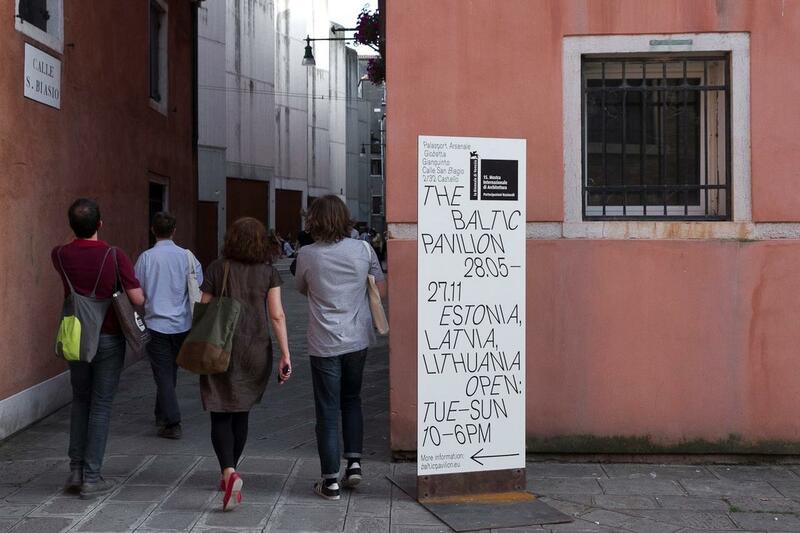 2016 was the first time Estonia participated in the biennale with a joint project with Latvia and Lithuania; the joint endeavour was titled The Baltic Pavilion. 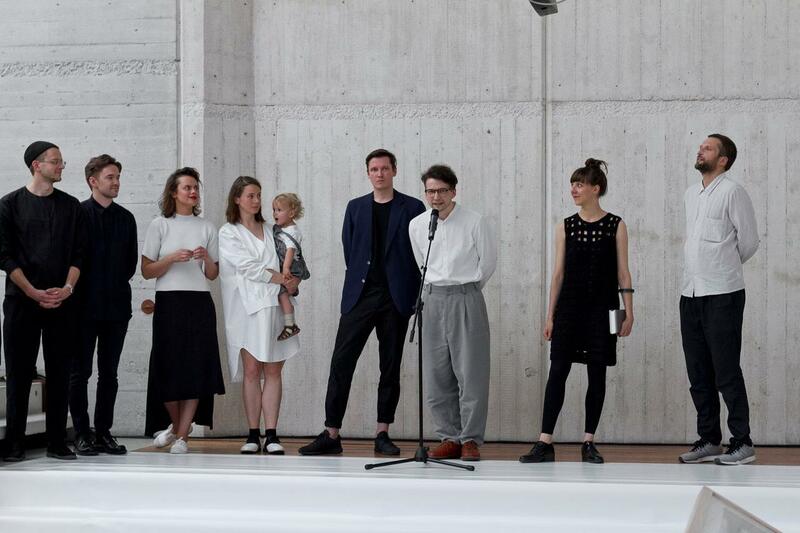 In addition to Estonian architect Johan Tali, the team included Kārlis Bērziņš, Niklāvs Paegle, Dagnija Smilga, Laila Zariņa from Latvia and Jonas Žukauskas, Jurga Daubaraitė, Petras Išora and Ona Lozuraitytė from Lithuania. 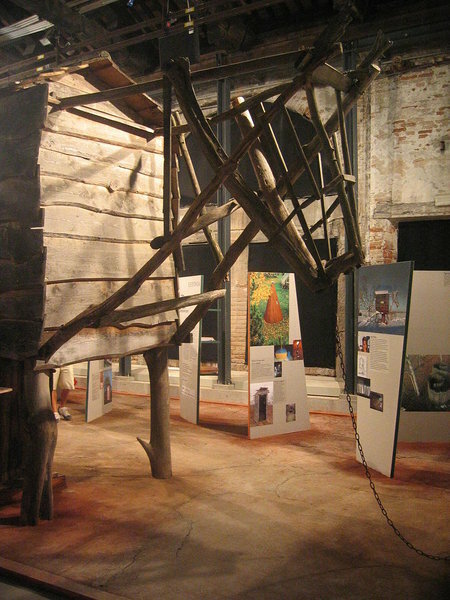 The Baltic Pavilion explored the built environment of Estonia, Latvia and Lithuania – cities, rural areas, industrial as well as natural landscapes – as a shared space of ideas and projects. 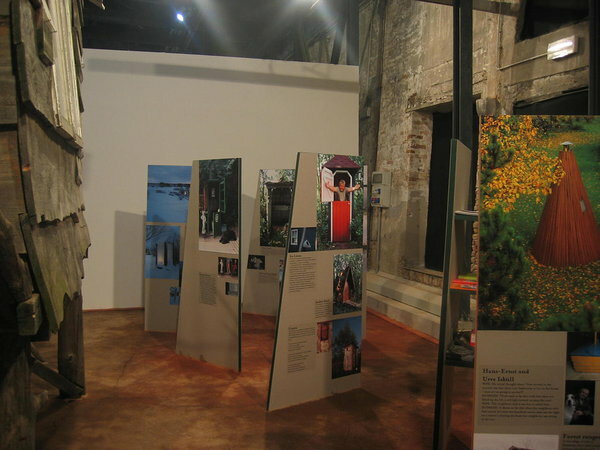 The exposition focussed on the achievements and efforts of three states and their societies rearranging their inert infrastructure, landscapes and cities, intertwined with the past. 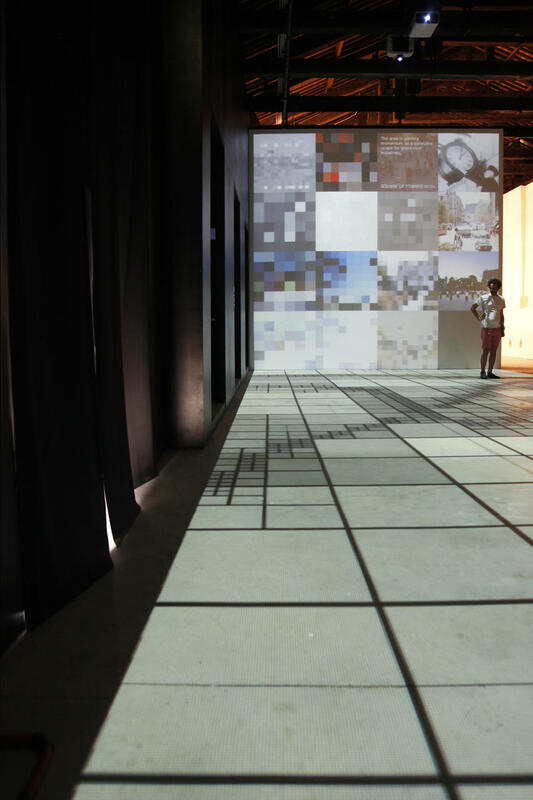 There are transformative efforts at play which are reprogramming an inert region beyond the delineations of separate nation-states. 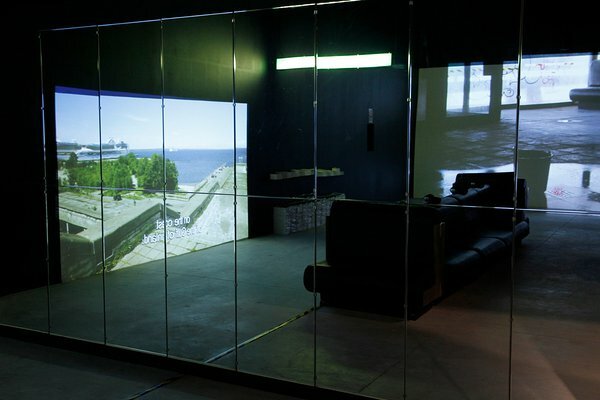 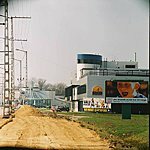 Recent geopolitical developments around the Baltic States have created a sense of urgency in the initiation of new spatial practices that unite the region and underpin the foundations of the European Union. 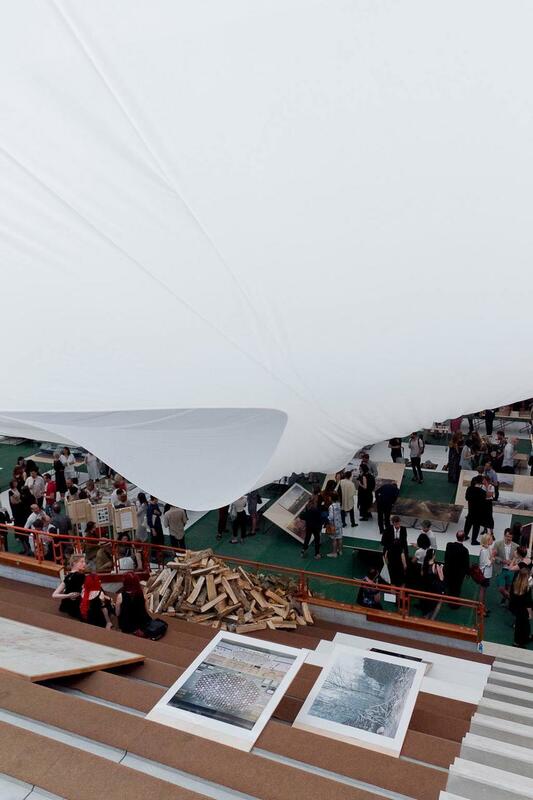 The 14th International Architecture Exhibition La Biennale di Venezia was curated by Rem Koolhaas and titled Fundamentals; Absorbing Modernity 1914-2014 was proposed for the contribution of all the national and other pavilions. 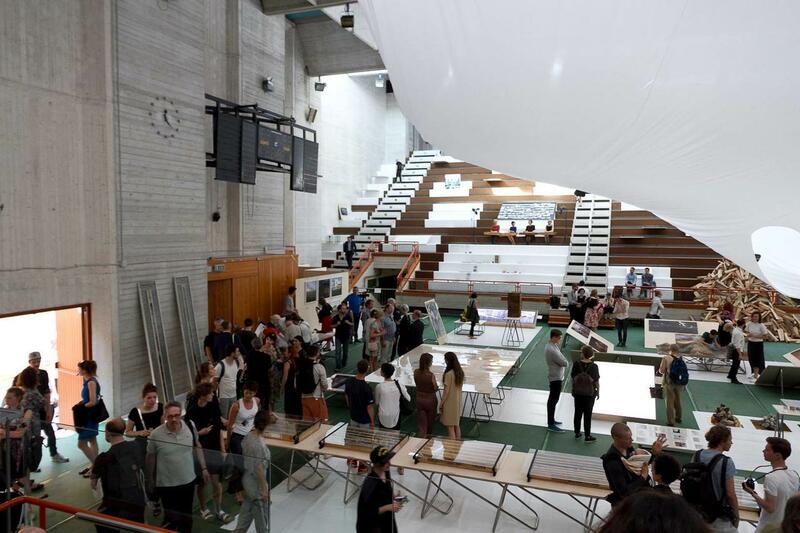 Estonian National Exhibition at the 14th International Architecture Exhibition was curated by architects Johanna Jõekalda, Johan Tali ja Siim Tuksam and titled Interspace, focussing on public space as enivironment where offcial ideology and its personal interpretations mix and mingle. 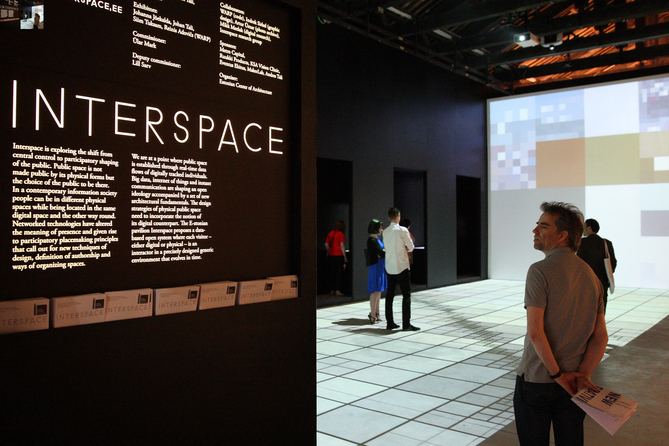 Interspace was produced by Estonian Centre of Architecture and organised with generous support from Gold Sponsor Metro Capital, Main Partners Ruukki Products, Eventus Ehitus and KSA Vision Clinic; Partners Sadolin, Elmaks Hulgikaubandus, Estonian Museum of Architecture, Reinis Adovicš (WARP), Lugemik, Makerlab and Silman Elekter, 206 kickstarters from Hooandja.ee and dozens of volunteers. 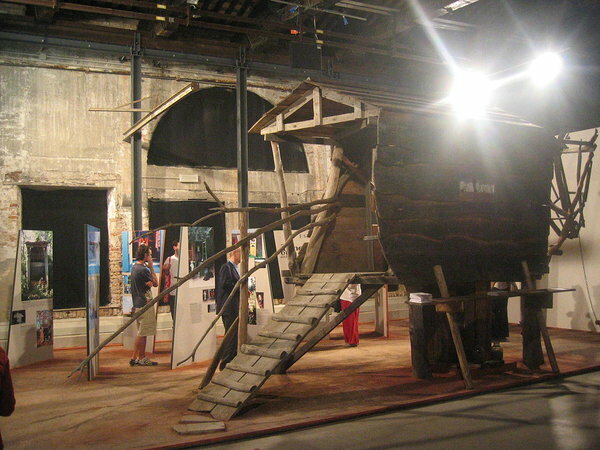 The Estonian pavilion at the 14th La Biennale di Venezia International Architecture Exhibition was funded by Estonian Ministry of Culture, Estonian Cultural Endowment, and European Regional Development Fund. 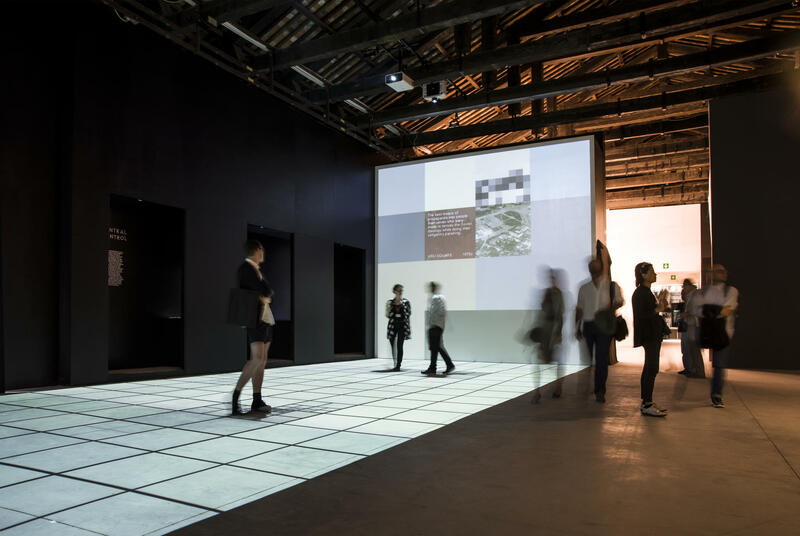 The 13th International Architecture Exhibition La Biennale di Venezia was led by architect David Chipperfield under theme Common Ground. 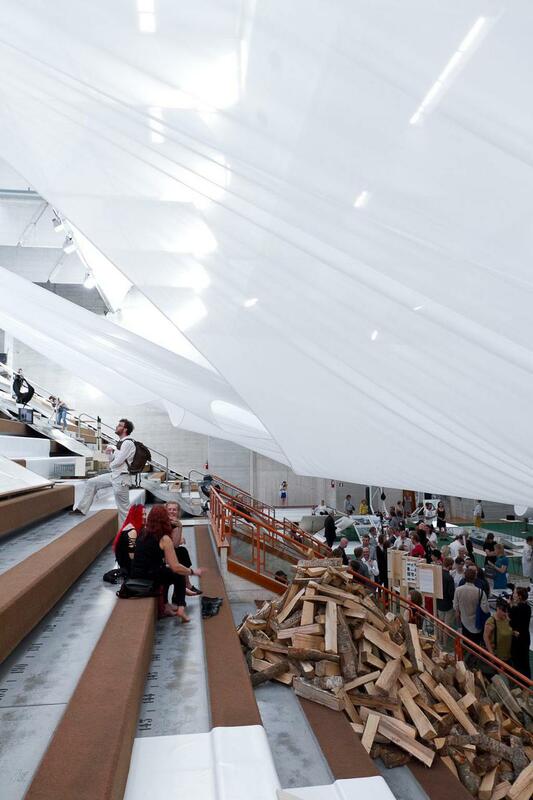 Estonian National Exhibition explored the topic of How Long is the Life of a Building? 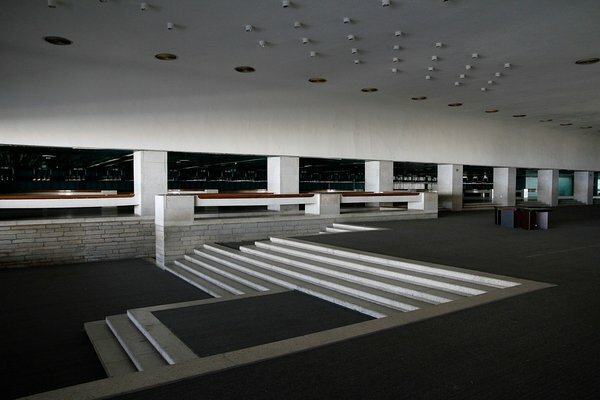 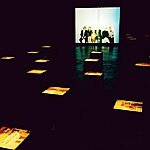 on the example of one of Estonia’s Modernist heritage gems, Tallinn City Culture Hall (Linnahall). 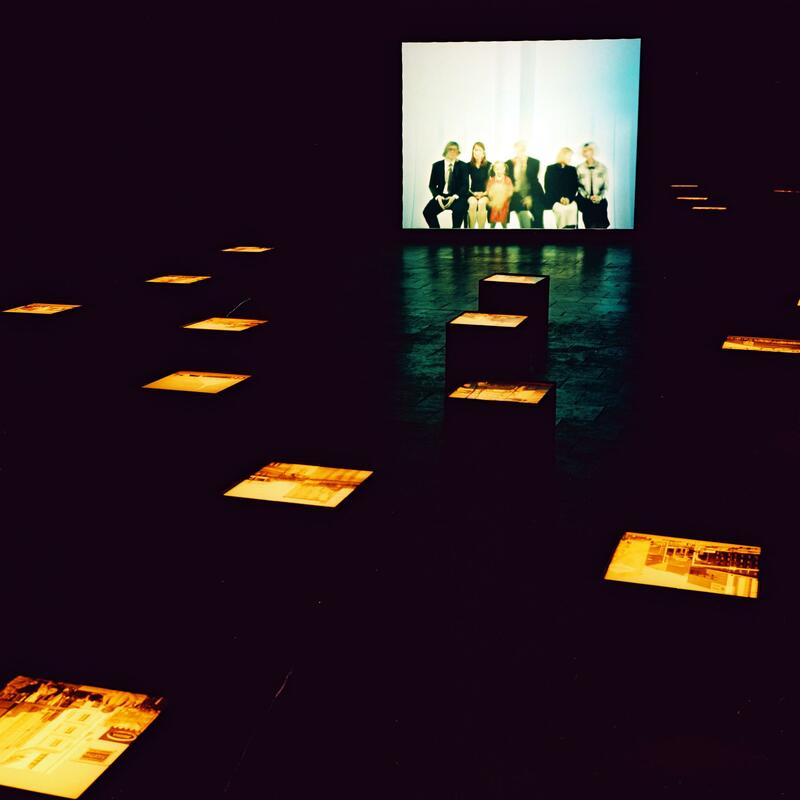 The exhibition was curated by Tüüne-Kristin Vaikla, Urmo Vaikla, Ingel Vaikla, Veronika Valk, Maria Pukk and Ivar Lubjak. 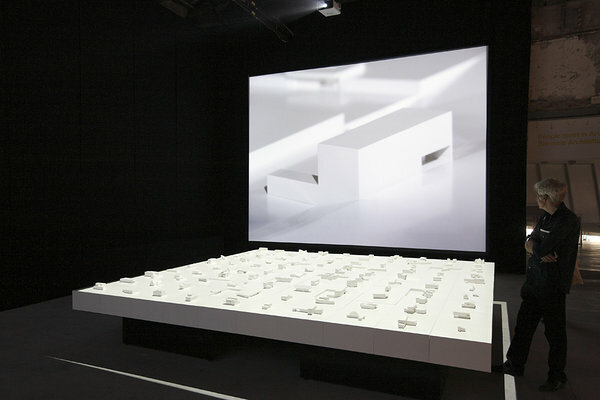 The 12th International Architecture Exhibition La Biennale di Venezia, with Japanese architect Kazuyo Sejima at the helm, explored the topic of People meet in architecture. 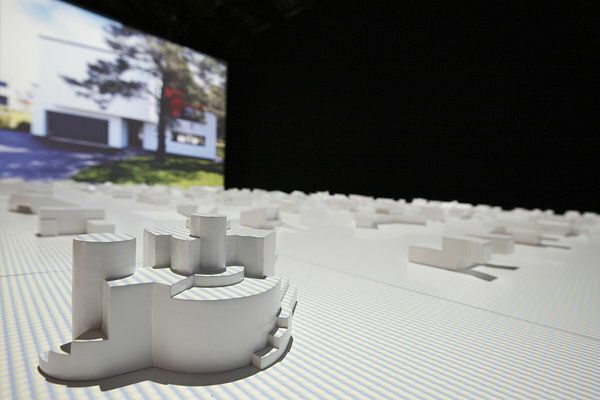 Estonian National Exhibition HOUSES (30MB PDF) introduced one hundred private houses by Estonian architects, using a large-scale model and video. 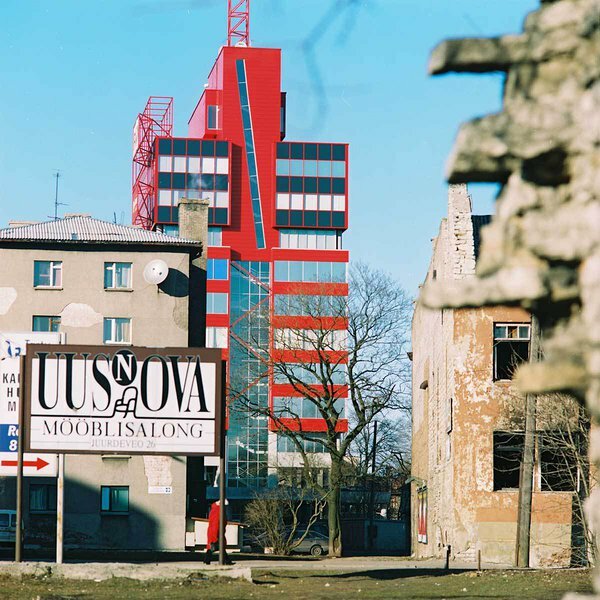 The argument of the curators was that one of the most notable features of Estonian private home architecture, when compared to the rest of Europe, is the widespread preference of unique projects. 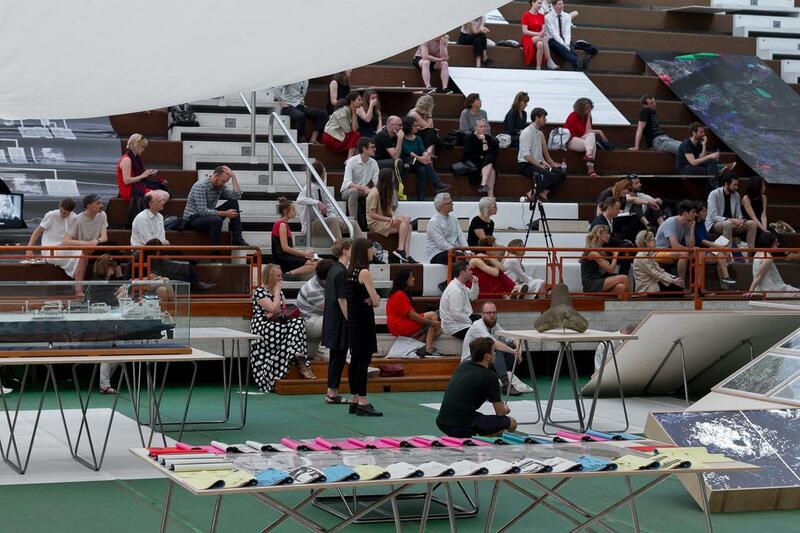 The project was led by architect Kalle Vellevoog, interior architect Tiiu Truus, graphic designer Martin Pedanik and architecture historian Karen Jagodin. 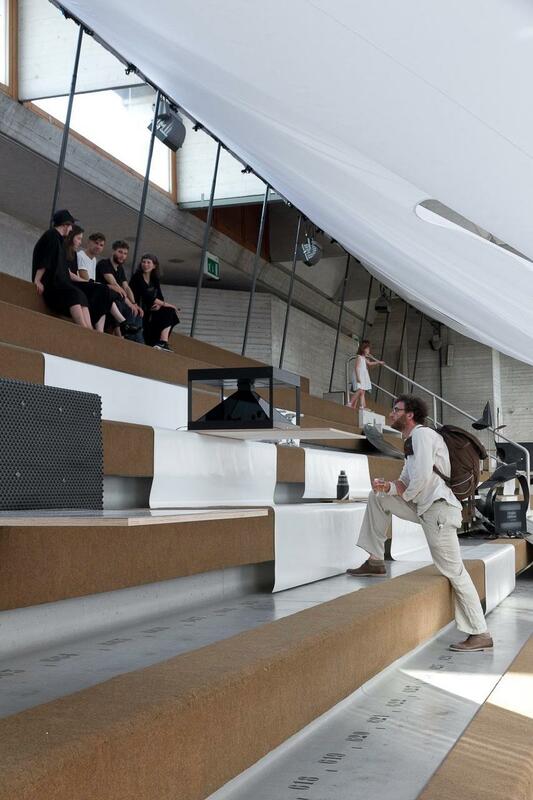 The 11th International Architecture Exhibition La Biennale di Venezia director Aaron Betsky phrased the theme for the international event Out There. 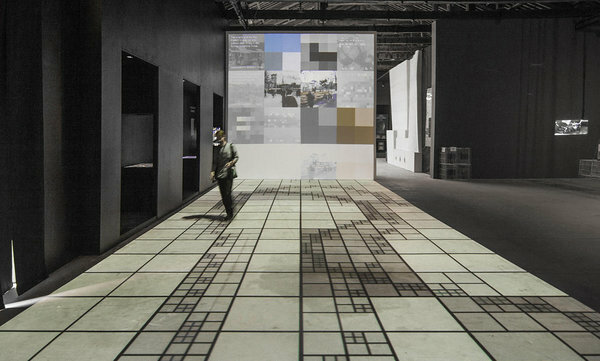 Architecture Beyond Building, focussing on sitespecific installation and manifestos, environmental and landscape architecture. 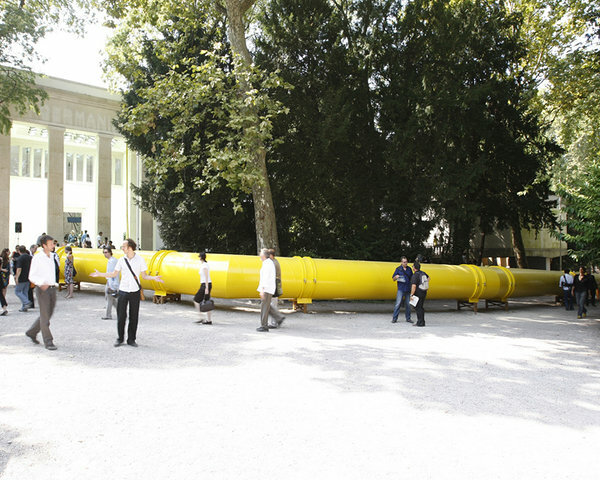 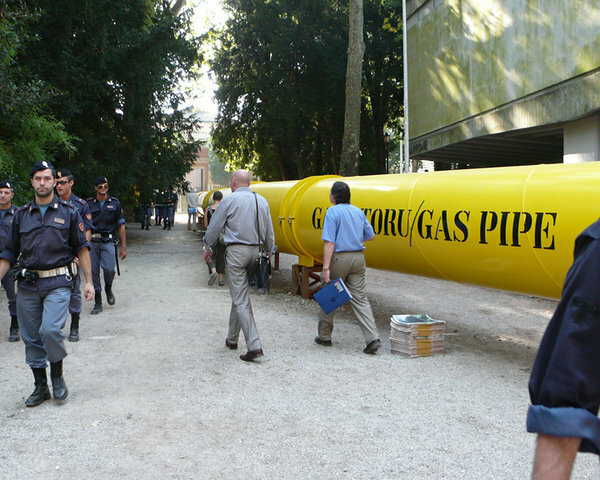 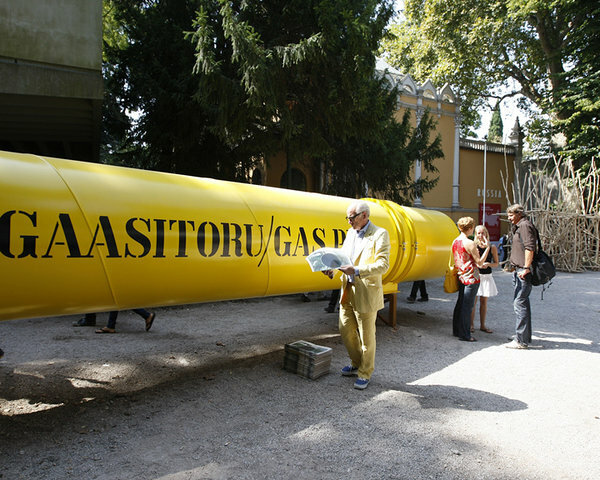 Estonia was represented at La Biennale by an environmental and geopolitical installation Gas Pipe by architects Maarja Kask and Ralf Lõoke from Salto Architects as well as sculptor Neeme Külm and architecture historian Ingrid Ruudi. 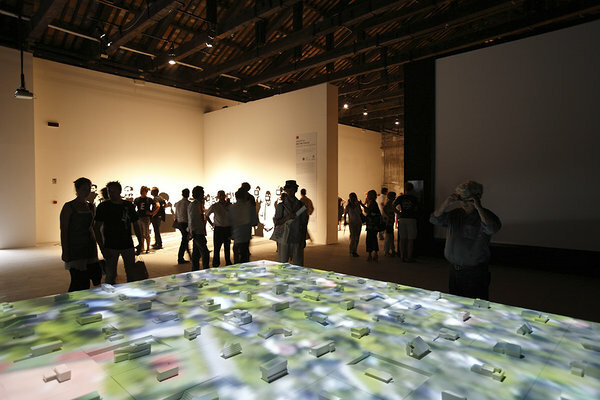 The 10th International Architecture Exhibition La Biennale di Venezia, led by Richard Burdett was titled Cities. Architecture and society, exploring such 21st centory urban studies issues as social dynamics and the infrastructure of cities. 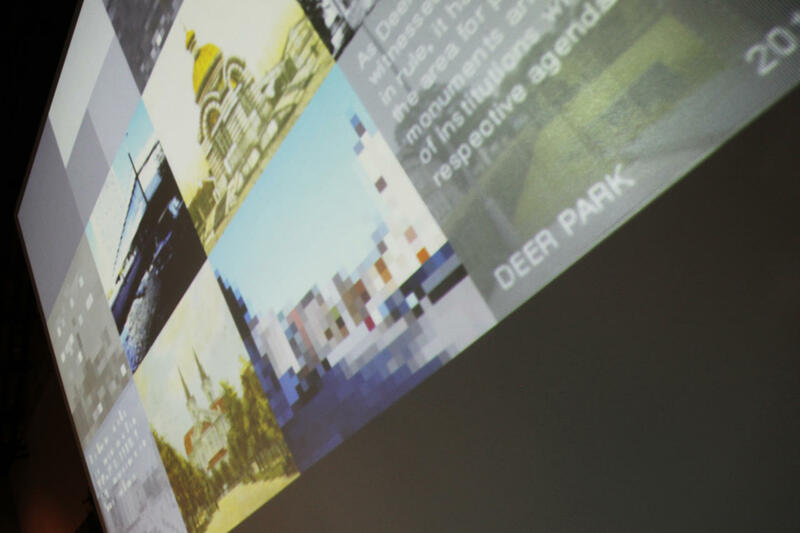 More specifically, much attention was paid to the role of architects when it comes to designing democratic and sustainable urban landscapes, as well as their links to policies of intervention, government statements and social cohesion. 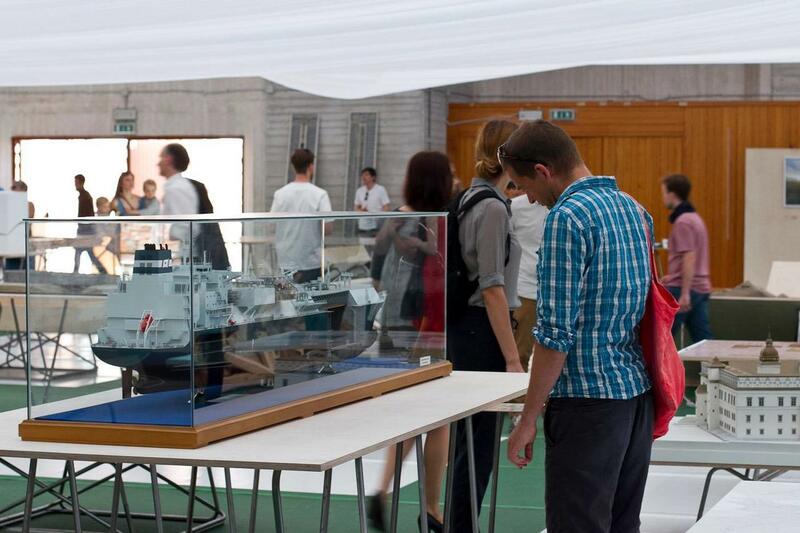 Estonian exhibition Joint Space was created in cooperation with the Tartu University Institute of Geography, the Architectural Design Office Urban Mark and the ICT research company Positium. 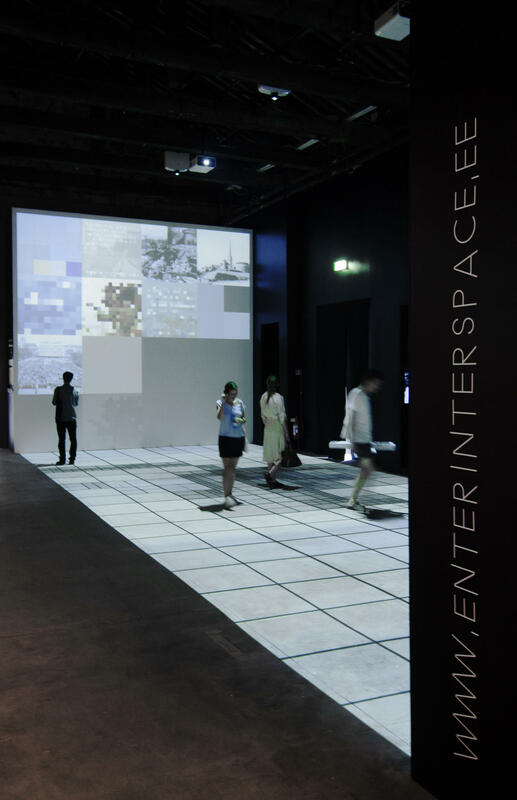 Joint Space demonstrated the possibilities of using mobile positioning in urban space. 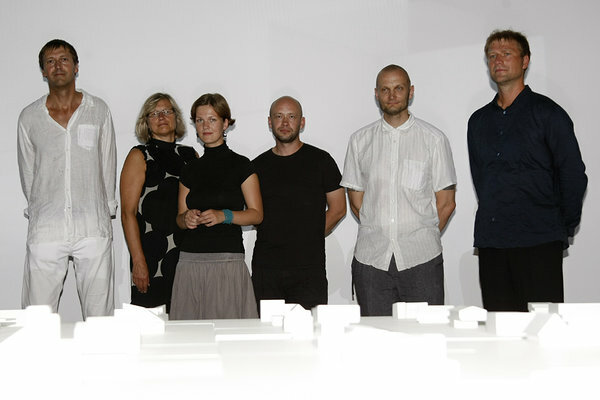 The team of the project included Ülar Mark, Indrek Tiigi, Kaja Pae, Yoko Alender, Raul Kalvo, Rein Ahas, Anto Aasa, Siiri Silm, Margus Tiru and Erki Saluveer. 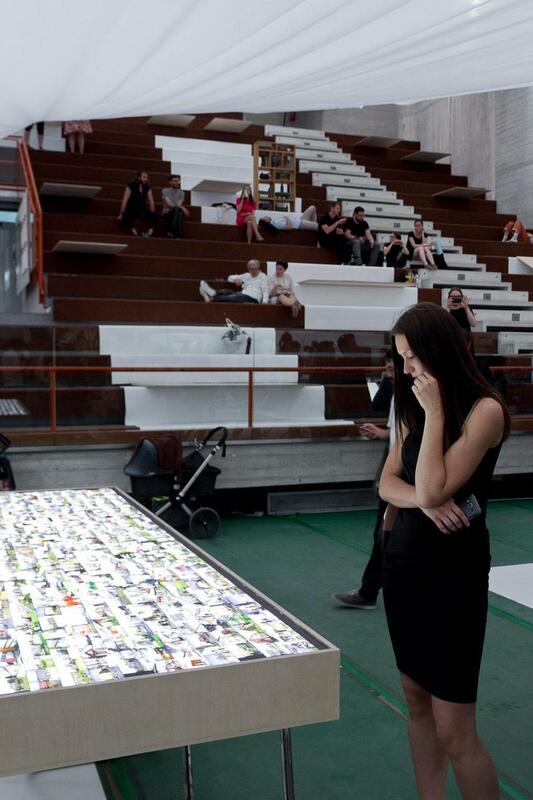 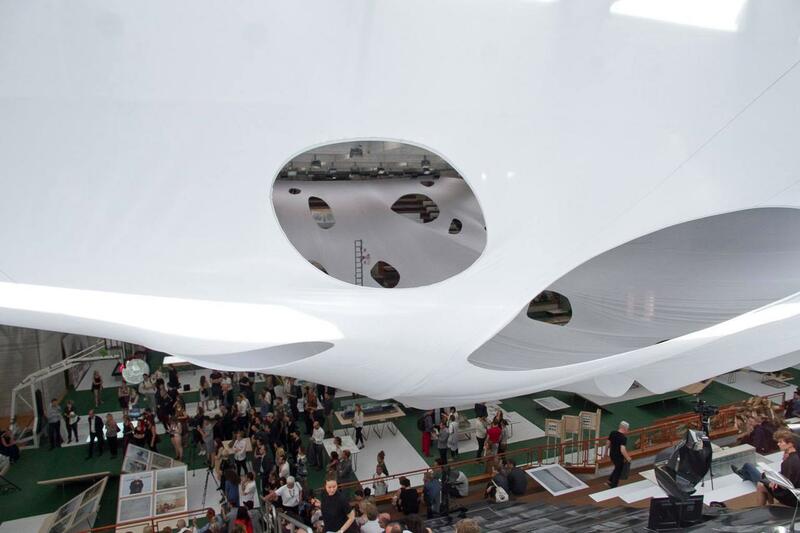 The 9th International Architecture Exhibition La Biennale di Venezia was titled METAMORPH and led by Kurt W. Forster. 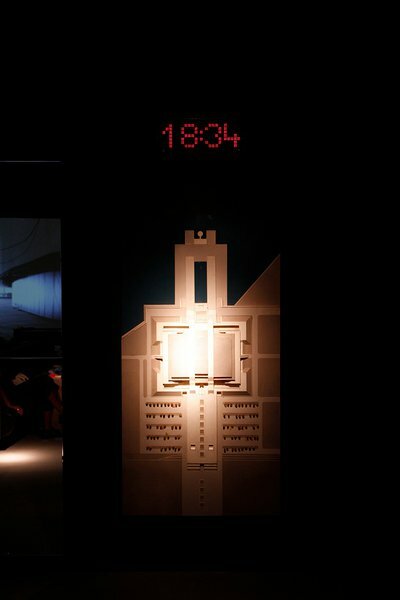 Estonia selected a project titled Time Out architecture to represent the country in Venice. Interior designer Kristjan Holm came up with the idea while reading journalist Madis Jürgen’s book on Estonian outhouse architecture and culture. 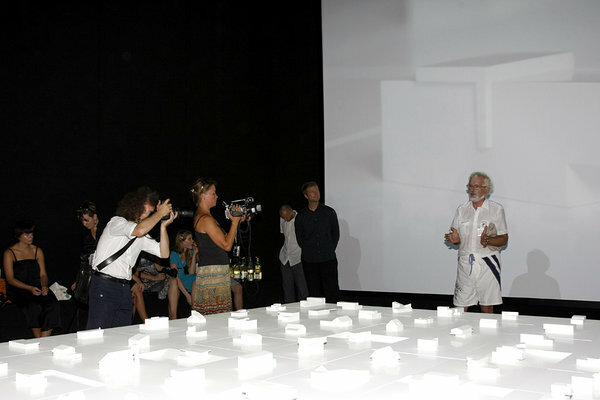 Exhibition team included Kristjan Holm, Madis Jürgen, architect Agu Külm, sculptor Jukka-Pekka Jalovaara and art historians Pille Epner and Liina Jänes. 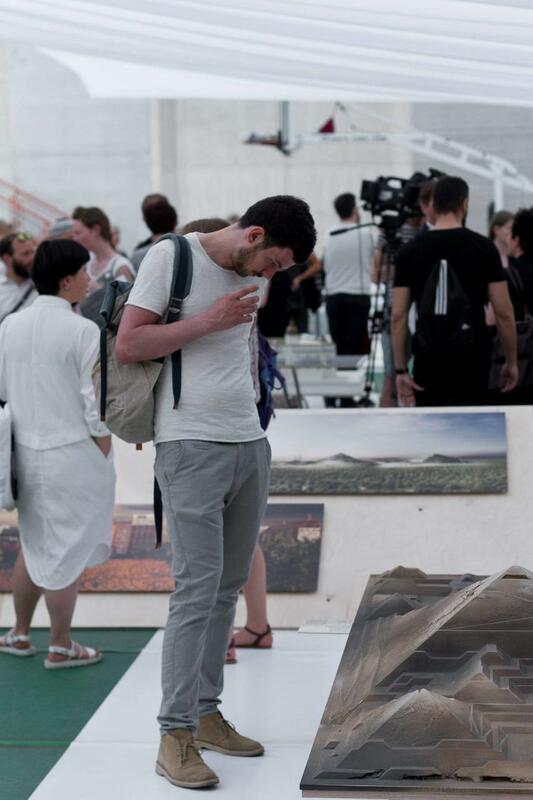 The 7th International Architecture Exhibition La Biennale di Venezia centered on research, titled Less Aesthetics, More Ethics. 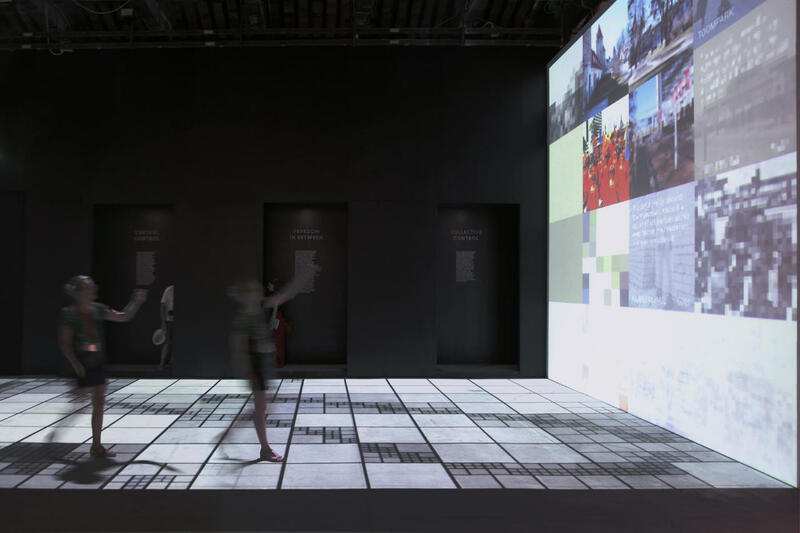 Director Massimiliano Fuksas abandoned the usual set up of the previous Biennales, with an exhibition no longer based on the idea of architecture as buildings, but developing a 360° perspective on contemporary city. 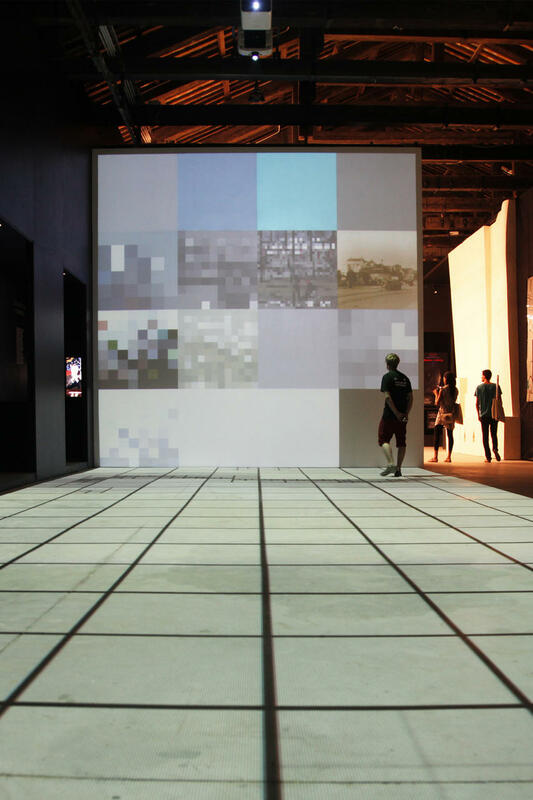 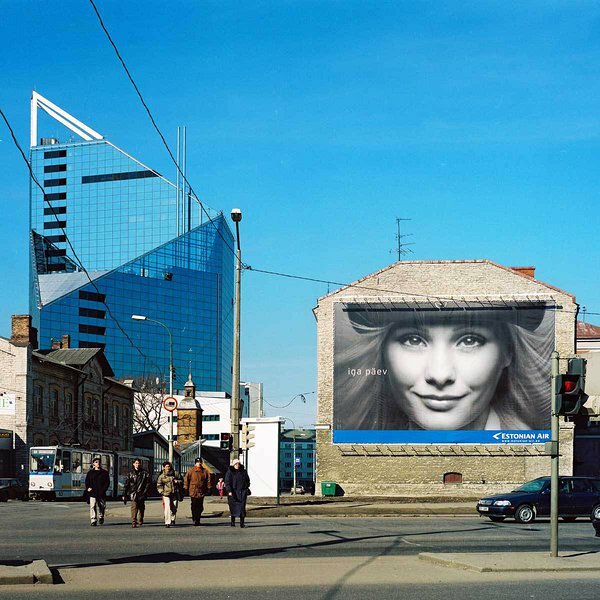 Estonia, participating in the Biennale for the first time, contibuted to the event with project titled Simulacrum City by art critic and curator Anders Härm and architect Tarmo Maiste. 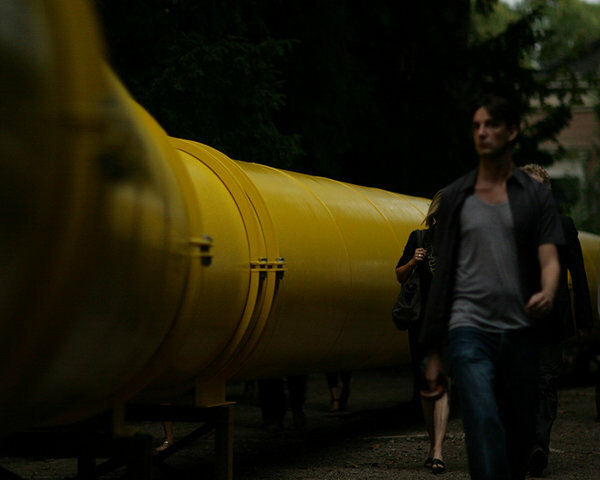 Pavillion soundtrack Taavi Laatsit, movie by Jaak Kilmi ja Andres Maimik. 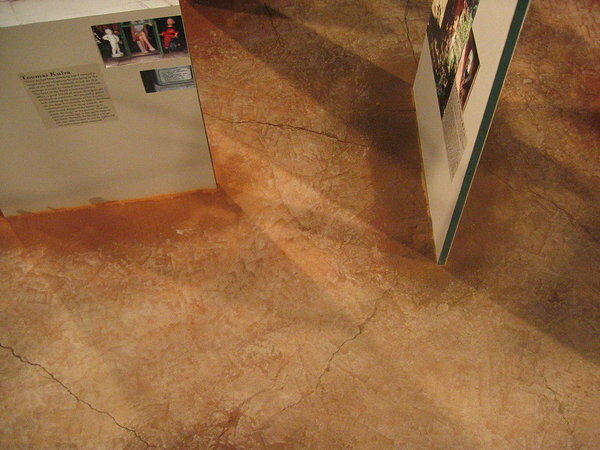 Catalogue design Jaanus Tamme.